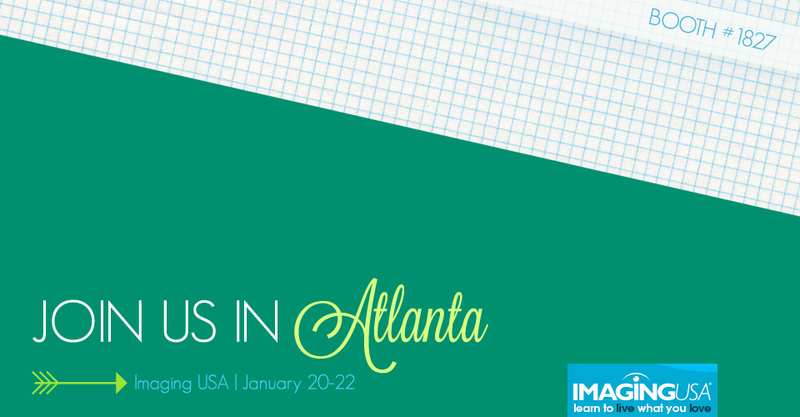 If you are headed to Atlanta for Imaging USA, we sure hope you visit us in booth #1827 to see what Miller’s has in store for 2013 (including samples of our new Signature Album!) and to hear from some of the top photographers in the industry. Haven’t signed up for Imaging USA yet? Be our guest! Sign up for a free Expo Pass now. We are so excited to have a talented speaker team representing Miller’s and our sister brand, MpixPro, who will share their expertise on a wide variety of topics. Here’s a preview of the schedule so you can make the most of your expo experience. You won’t want to miss this! Learn how to make a STATEMENT with your lighting! Damon will share three classic techniques that will put some hipness in your game. He will also explore available, off camera flash and video lighting strategies that are sure to rejuvenate your creativity. You don’t want to miss it. Looking for a simple way to build buzz and keep clients coming back year after year—all without breaking a sweat? Do more, for less—with books! Increase the quality of your finished product and increase your wedding sales by incorporating quality albums into your packages. Dan and Alex share how they photograph weddings from start to finish with a killer album in mind. They will show some of their wedding albums and offer shooting and design tips to make you a better wedding photographer. Laura will discuss strategies and resources that have helped her to build her blog audience, garner her ideal clientele and effectively network. Learn ways to develop your blog as a key marketing tool with not that much time invested, thereby freeing up your time for other important business tasks. If you thought that being a regular and consistent blogger was out of reach, then these tips will help you to see that you can indeed make it happen and blog your way to more ideal clients. Jen will show you tips and tricks to make designing for custom cards and products easy and efficient. Learn how Ben uses his sports poster program to market to seniors. He will also break apart a few of his popular sports composites. Joy Vertz walks you through how to price and market albums to ensure maximum profitability and how to market albums to make them extremely attractive for your clients. Learn how to ask for the album sale! Learn about the effect distance of light has with subject and background. See how this translates from studio to on location using off camera lighting. Chuck will talk about how to properly meter and use your flash in manual. See how this will help if you decide to shoot TTL. Lindsay will share how to integrate fashion photography concepts into your portrait and wedding photography. With her fashion flair approach, you’ll be able to offer your clients a unique experience they won’t forget! Mike and Suzy Fulton will share their tips on how to get started in the volume business. They have developed a successful marketing and workflow model for schools, sports leagues, daycares and more. Learn how you can become the local provider of choice for volume photography, and separate yourself from the pack! Learn how to shoot rings and other important details in a way that will REALLY set yourself apart from your competition. It can also be done faster, easier and cheaper… ED style. We’ve been working tirelessly for months to make this an exceptionally interactive and informative experience for all those who visit us during the three day event. So come by booth #1827 to introduce yourself and to get your hands on our products. We hope to see you there!